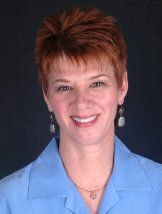 My name is Donna C. Fortney and I am a Virginia Licensed Professional Counselor. I am a Certified Imago Relationship Therapist, Certified Critical Incident Stress Management (CISM) Therapist, Certified Solution Oriented Brief Therapist, Voice Dialogue Facilitator, and an Emotional Freedom Techniques (EFT) Practitioner. I am a volunteer mental health therapist with the American Red Cross and assist locally during disaster relief efforts. I have also volunteered as a mentor with Opportunities, Alternatives, and Resources (OAR) with the Fairfax County Jail system. My specialty is working with relationships including: straight, gay, and lesbian couples and individuals, blended families, parents/adolescents, siblings, and organizational. Some of the issues I work with are: pre-marital counseling, infidelity, separation and divorce, trauma, depression, anxiety, and communication skill building. I also work with gifted and talented students and adults around the issues of underachieving, anxiety, and depression to help them understand and work with their special gifts and needs, both with the school system and in their jobs. My husband, Dan (an EFT Practitioner), and I have also developed and facilitate two Imago based relationship groups; one for individuals and one for couples. These groups are education based with 13 classes and are limited to 8 people. They are very helpful as an adjunct to deepening work with individual therapists or as an invaluable tool in preparation for marriage. Participants receive a manual and have the opportunity to explore and transform themselves and their relationships. We also, have developed and facilitate a premarital workshop. This day-long educational program is based on Imago Relationship Theory and specially developed to help couples learn the tools to have a successful marriage. In my practice I use a variety of cognitive-behavioral techniques; visual guided imagery, Imago intentional dialogue and exercises, Voice Dialogue, Emotional Freedom Techniques (EFT), EMDR, and stress reduction techniques. I provide a safe, comfortable, compassionate, and fun environment. My office is handicap accessible and has plenty of parking. Please give me a call if you have any questions regarding my work. I would very much like to answer any questions you might have. I am available for speaking engagements and Imago and EFT introduction seminars of various lengths. Whether you are in a committed relationship or an individual seeking a better partner, the key to breaking the same old relationship cycle, lies in becoming a conscious partner. Contact Donna at 703-869-3589 for more information. We will always be grateful for Donna; we know we have a strong foundation for a life-long, happy marriage. She held us in a very vulnerable time and got right to the point of the matter all while giving us concrete tools to use ourselves. We understand each other deeply thanks to the techniques Donna teaches. When we came to Donna, we couldn't have a simple discussion without it causing more damage to our marriage. We were at the end of our rope and didn't see a way out. Donna has helped us restore communication and build a positive "space" in our relationship that we had lost. She has helped us get things back on track, treat each other more respectfully and is helping us regain things that we thought we had lost.